The NFC mobile wallet being tested by Hungarian carriers Magyar Telekom, Vodafone and Telenor with MasterCard, OTP Bank and loyalty scheme operator SuperShop is expanding its range of services to include ticketing for live events and access to sports facilities. 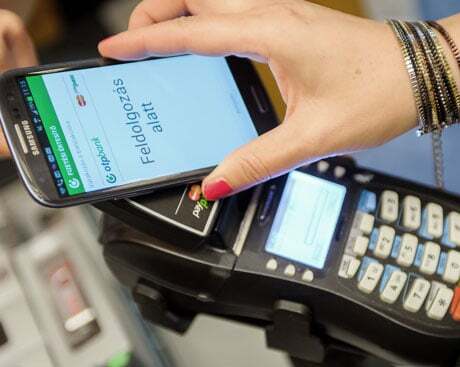 MobilTárca was launched in July 2013 and currently supports NFC payments, loyalty and employee ID card applications. During the first six months of the pilot, the 1,000 testers have made 20,000 NFC payments and carried out 3,000 loyalty transactions. Now InterTicket Hungary and Club Recreation, which issues a multifunctional card that allows unlimited access to hundreds of different sports facilities in Hungary, have both joined the program — widening the range of services available from three to five. “It was important for us to join the mobile wallet program yet in the pilot phase, since we consider that NFC will make the use of our All You Can Move SportPass more comfortable in the near future”, says Balázs Schneider, director of Club Recreation. “We want to provide the best experience to our customers enabling them to download, store and validate their event tickets with the help of their mobile phone,” added Ervin Jobbágy, executive director of InterTicket Hungary. Participants in the pilot can currently use their OTP MasterCard Mobile PayPass debit cards at more than 22,000 acceptance points in Hungary and their SuperShop NFC loyalty card at Spar and Interspar supermarkets as well as OBI DIY stores. MobilTárca is available on more than twenty NFC devices, including phones from Samsung, Sony and HTC. The pilot is due to run until the end of June 2014.